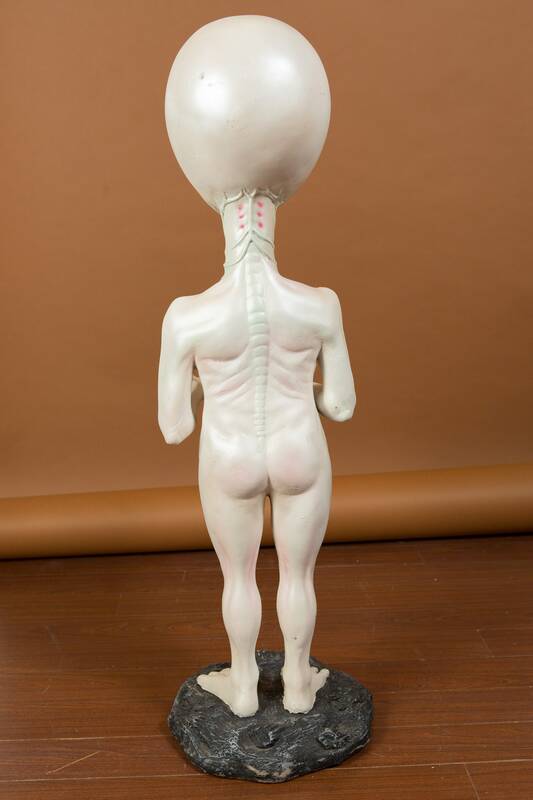 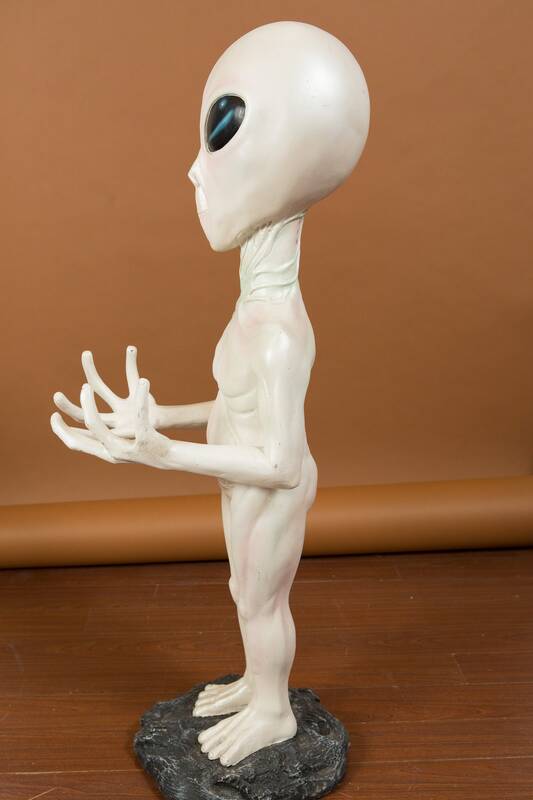 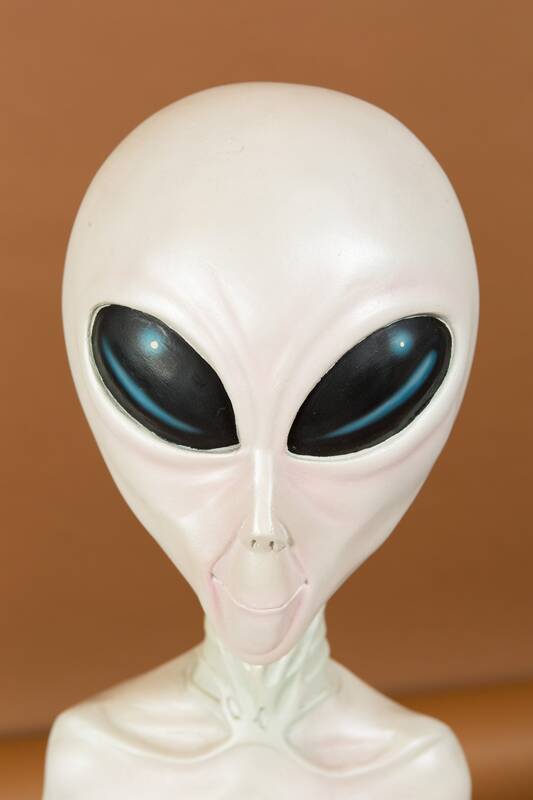 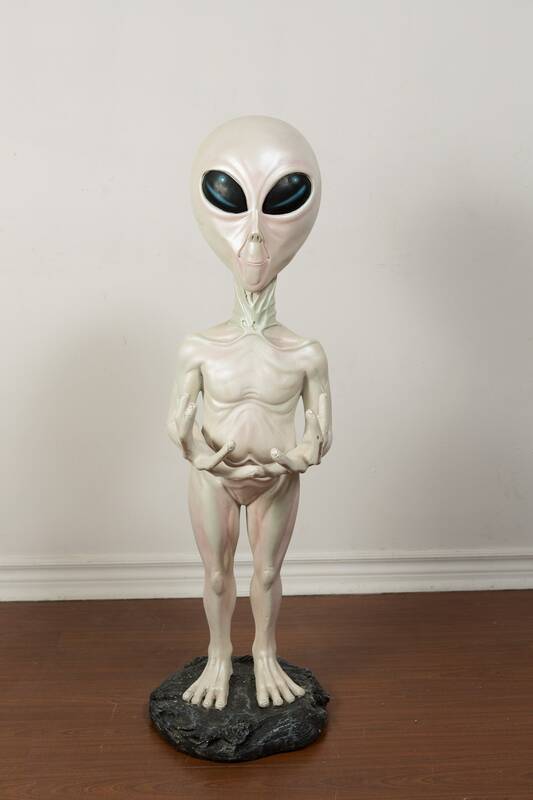 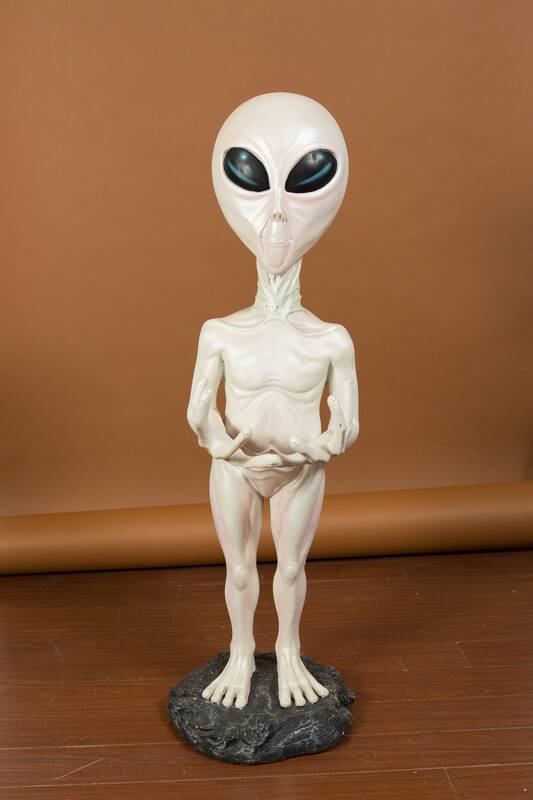 this is a funky vintage short life size grey coloured alien. 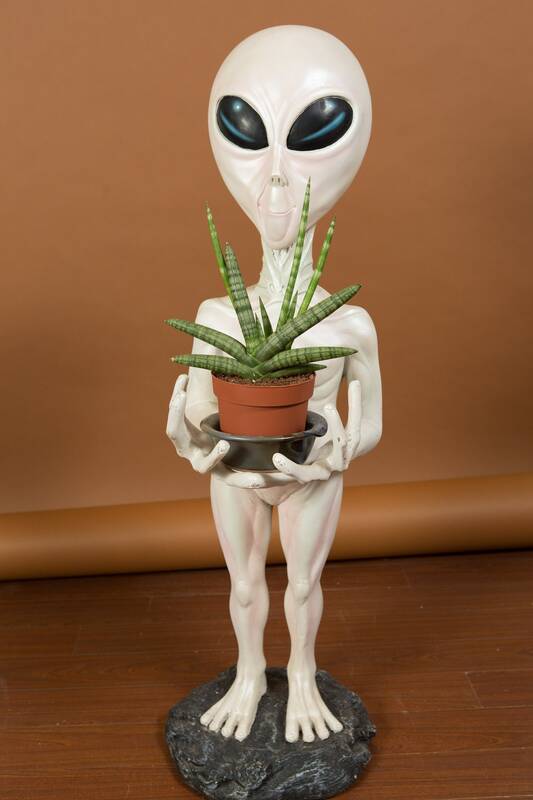 It's hands are cupped to act as a holder for a bowl, plant, etc. 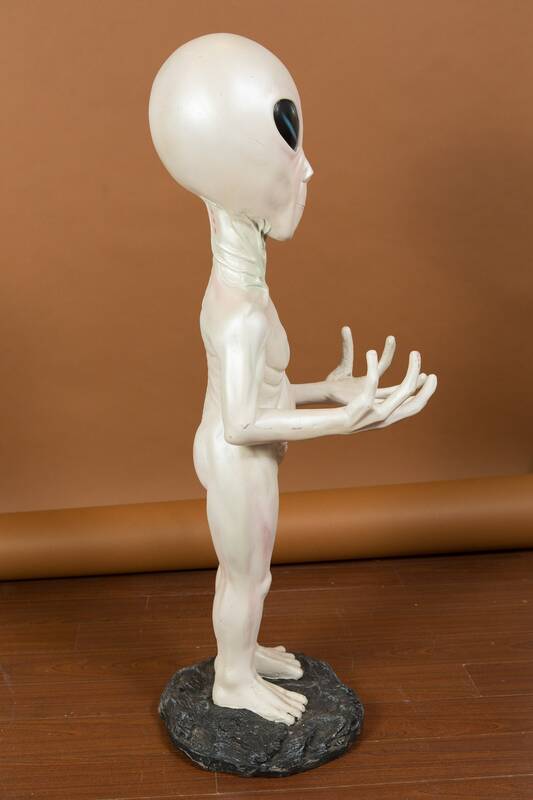 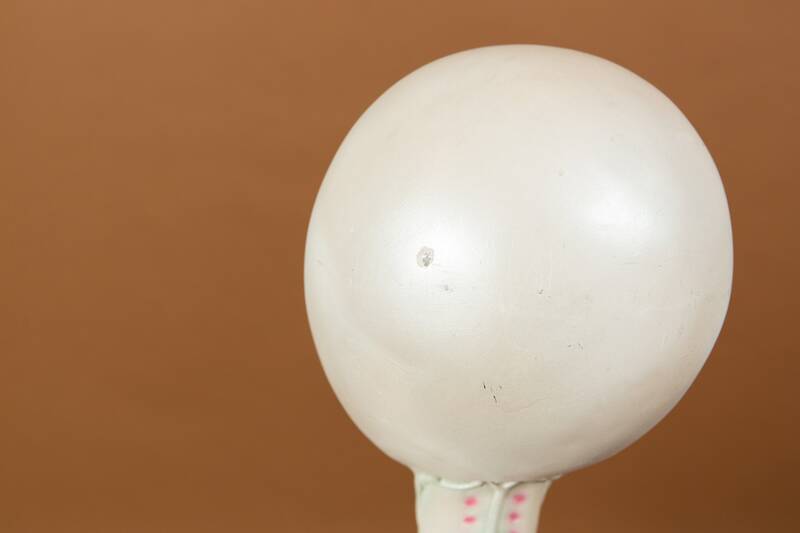 It was originally used as a prop for events and movie sets.